California Senate President pro Tempore Darrell Steinberg (D-Sacramento) recently testified before the Los Angeles County Board of Supervisors, saying that Los Angeles can help lead the way in addressing the underlying issues affecting crime with the implementation of Senate Bill 105. The bill proposes a long term prison overcrowding solution by establishing significant funding to mental health and drug rehabilitation services to reduce inmate recidivism. SB 105 provides performance-based grants to counties that have established programs which successfully reduce the number of felony probationers returning to prison. However, before the bill is implemented, a federal three judge panel, must first determine if it will allow the state extra time to comply with a court mandate to reduce the state’s prison population. If an extension is granted, officials will use it to expand rehabilitation programs aimed at keeping offenders from returning to prison after they have served their time. Steinberg said the judges were interested in looking for a “credible path” to address the issue. If judges reject the request, the state will relocate thousands of inmates to privately owned prisons and other detention facilities. To comply with the court’s mandate and relieve overcrowding, the state released thousands of inmates to county jails. Currently, Los Angeles County is struggling with overcrowding in its jails and with the release of nonviolent inmates. Los Angeles County Board of Supervisors Chairman Mark Ridley-Thomas, who has long maintained that both the state and the county need to maintain a greater focus on mental health services, agreed. “Providing necessary services to people right when they leave prison or preferably before they leave, is simply being smart on crime,” said Chairman Ridley-Thomas. Steinberg noted that the state has tried many strategies to combat crime, including three strikes laws, increasing penalties and building more prisons, which have not been effective in reducing the 65-70 percent statewide recidivism rate. SB 105, which was signed by the governor on September 12, marked a historic shift in the direction of California’s policies with respect to imprisonment and the criminal justice system in addressing the root problems causing thousands of offenders who finish their sentences, are soon re-offend after their release. Los Angeles County Probation Chief Jerry Powers, Department of Mental Health Director Marvin Southard and District Attorney Jackie Lacey also testified. Lacey noted that prosecutors would like to expand a program to create more mental health courts for low level offenders. The bill allocates $360 million for increased mental health services. Los Angeles County could be eligible for $40 million for crisis residential treatment in addition to its share of triage and mobile crisis personnel. One of the most important recommendations of the Citizens’ Commission on Jail Violence was for the Board of Supervisors to create an independent Inspector General’s Office to provide comprehensive oversight and monitoring of the sheriff’s department and its jails. The recruitment process, which has been on-going for several months, has identified a number of potential candidates and now, acting on a motion by Los Angeles County Board of Supervisors Chairman Mark Ridley-Thomas, the board has voted to create a vetting committee to review their qualifications. At the end of the review it will issue a recommendation to the Supervisors for their consideration. The Vetting Committee will have representation from the citizens’ commission, the sheriff’s department, and the civil rights community. Also, given his background, expertise and current role as the Implementation Monitor, Richard Drooyan will serve as the facilitator, but not as a voting member. Appointed to the committee will be: the Hon. Lourdes Baird and the Hon. Robert Bonner, both of whom were members of the jail violence commission; Assistant Sheriff Terri McDonald; John W. Mack, former president of the Urban League, and Samuel Paz, noted civil rights attorney. The committee will have 30 days to make its evaluations and then submit a list of the most qualified candidates to the supervisors. Although two decades have almost passed since the Northridge earthquake, the Los Angeles County Fire Department wants to make sure residents are prepared when the next big one strikes. To that end, the Los Angeles County Fire Department is holding free community emergency response team training (CERT) classes throughout the county to teach basic training in safety and lifesaving skills. 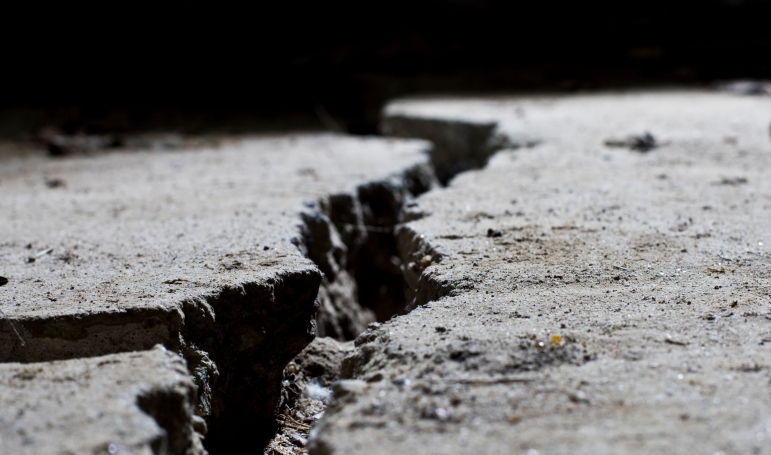 Because earthquakes strike without notice, it’s important for Southern California residents to know what to do when the ground starts shaking. The 6.7 magnitude Northridge quake lasted a matter of seconds but resulted in dozens of deaths, miles of damaged streets, flattened buildings and the collapse of freeways. The 10-second temblor, which struck at 4:31 a.m., was triggered by a fault that squeezed the northern San Fernando Valley between two mountain ranges. In fire department classes, participants learn CPR, bandaging techniques and basic first aid. The next upcoming classes will run from September 28 to November. Los Angeles County Fire is also spreading the word about earthquake preparedness via Facebook, Twitter and YouTube pages. 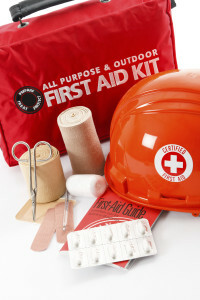 For additional earthquake safety tips from Los Angeles County Fire, or to sign up for the emergency response team training classes, visit their website at www.fire.lacounty.gov or call the LA. County Community Service Liaison Laura Walters (310) 217-7074. * Drop down onto your hands and knees before the earthquake knocks you down. * Cover your head and neck – and your entire body if possible – under a sturdy table or desk. * If there is no shelter nearby, only then should you get down near an interior wall or low-lying furniture that won’t fall on you, and cover your head and neck with your arms and hands. * Hold onto your shelter until the shaking stops. Be prepared to move with your shelter if the shaking shifts it around. http://ridley-thomas.lacounty.gov/wp-content/uploads/2017/12/MRT-Banner_nonChairman.png 0 0 admin http://ridley-thomas.lacounty.gov/wp-content/uploads/2017/12/MRT-Banner_nonChairman.png admin2013-09-12 12:01:002015-05-07 16:49:17Are You Prepared for the Next Earthquake? In a swift response to the U.S. Department of Justice’s civil rights investigation into whether Los Angeles County Sheriff’s Department deputies have abused inmates, Supervisors Mark Ridley-Thomas and Gloria Molina are calling for the creation of a permanent citizen’s oversight commission. The latest probe into the county jails, which will focus specifically on the treatment of mentally ill inmates, significantly expands the federal government’s ongoing investigations into the jails. A criminal investigation into allegations of excessive force and other wrongdoing has been underway since 2011. Similar concerns about use of force and abuse by jail deputies are also the centerpiece of the civil probe. 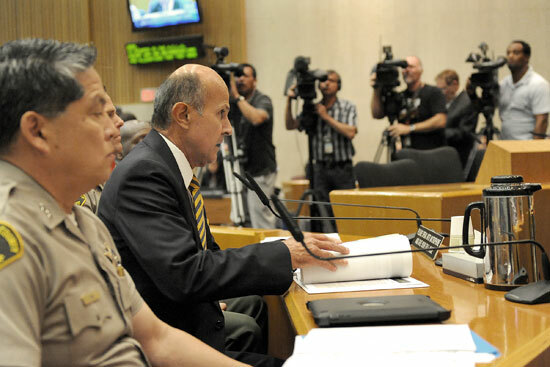 In their motion to establish a Los Angeles County Citizen’s Law Enforcement Commission, the supervisors maintain that the new investigation dramatizes the need for heightened scrutiny of the sheriff’s department. Continued allegations of excessive force, significant litigation costs and a moral imperative to ensure constitutionally appropriate policing in the jails and communities justifies the establishment of an oversight entity without delay. Structural reform clearly will require more than intermittent and temporary examination of the department. Although the board’s authority over the sheriff, who is an elected official, largely is limited to budgetary matters, the supervisors clearly have the authority to establish an independent advisory citizen’s oversight commission – as it has done in the past. The supervisors’ motion, to be voted on at this Tuesday’s meeting, calls for each supervisor to appoint a commissioner to the panel by October 15. In addition, it calls for a funding and staffing plan for the commission and for county counsel to cement the commission’s role with language formalizing the relationship between the Sheriff’s Department, the Office of the Inspector General and the board. 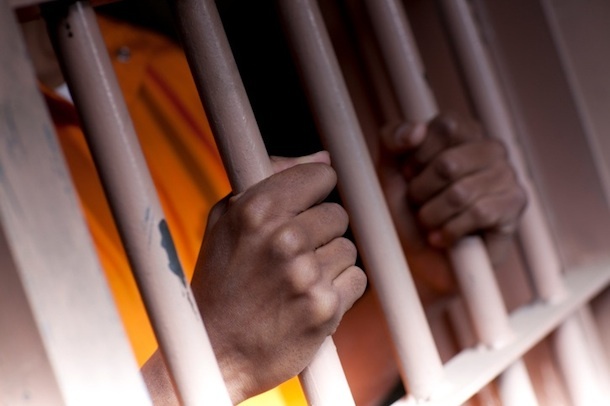 Los Angeles County Board of Supervisors Mark Ridley-Thomas and Supervisor Don Knabe called on the county to take legal action to support a compromise to reduce the state’s prison population reached by Gov. Jerry Brown and the leaders of the state Legislature. Brown, California Senate Pro Tem Darrell Steinberg and Speaker of the Assembly John Perez came to an agreement Monday, offering to spend more money on rehabilitation efforts if a panel of federal judges will extend an end-of-the-year deadline to release thousands of inmates. In a motion read into the record Tuesday at the Los Angeles County Board of Supervisors meeting and to be voted on next week, Supervisors Knabe and Ridley-Thomas also call for the board to direct county counsel to file briefs in federal court to support efforts to truncate the prison pipeline through increased rehabilitation services. The state is under federal court order to reduce its prison population by December, and the agreement calls for allocating a portion of the $800 million slated for leasing cells in private prisons over three years, instead to drug, mental health and rehabilitation programs, if the court permits. Since the state government shifted oversight of nonviolent prison parolees to local county governments in October 2011, Los Angeles and other counties have struggled to balance public safety concerns while meeting the rehabilitative needs of thousands of prison parolees. A significant increase in that population, which could occur should the federal courts not accept the compromise and insists on the release of approximately 9,000 inmates, would pose significant public safety and other challenges for local governments.